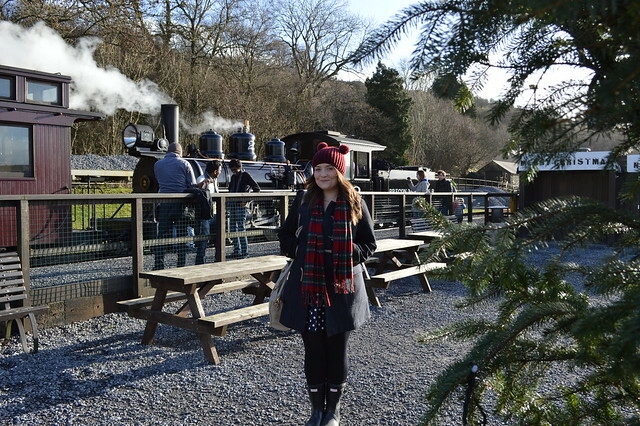 Yesterday I visited the Brecon Mountain Railway which runs from Pant along the full length of the Pontsticill Reservoir. It's something that Martyn and I had been looking forward to and it was nice to get some fresh air after all the excess of Christmas. 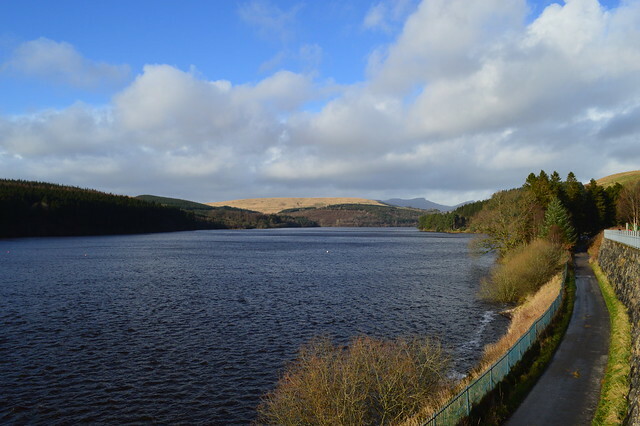 The location was beautiful, it's on the edge of the Brecon Beacons National Park with its amazing mountain, lake and forest scenery. It's based near Merthyr which at one time it was the greatest iron making town in the world and most of the earlier railways used iron rolled by its mills. 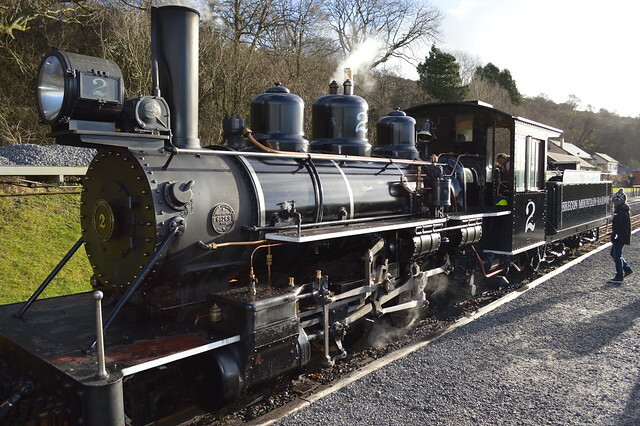 It also witnessed the trial run of the Trevithick locomotive - the first steam railway engine in 1804. I've always love trains but my current obsession can be blamed on Michael Portillo and his fantastic programme Great British Railway Journeys which I love watching. I'm fascinated by our industrial history here in the UK and trains played a huge role in that. The train that we saw that day was a No.2 Baldwin Locomotive which was built in the 1930s in the USA and was used by a cement works in Port Elizabeth in South Africa. 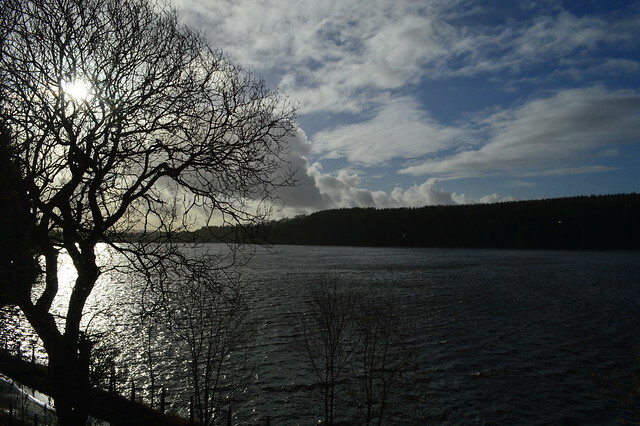 Enjoying the views of the reservoir. 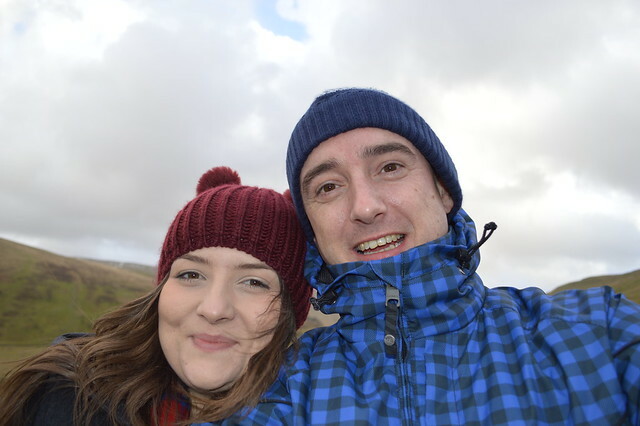 We wanted to walk around the reservoir but there were 60mph winds yesterday which kind of ruled that out so we headed to a viewing point in the Brecon Beacons and had our lunch with some speldid views before heading back home. Pont ar Daf path up to Pen y Fan. 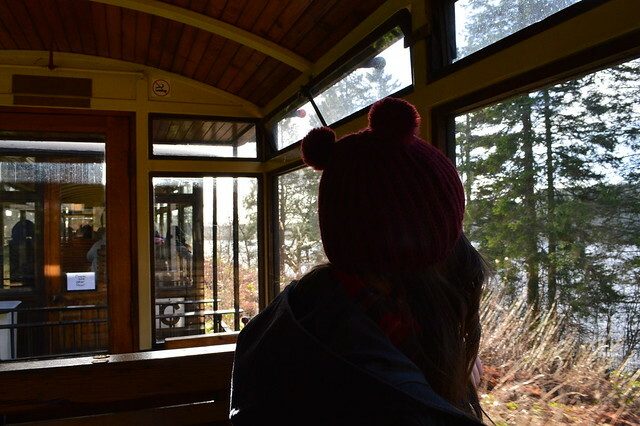 I can highly recommend a trip to the Brecon Mountain Railway and there's so much to see in this area I know I'm going to be there a lot this summer. Can't wait for some good weather to head out to the National Park which is practically on my doorstep. You always go on the best road trips gem! Thanks Donah, a lovely lady called Gillian helped me with it. I'm useless at anything design related. You definitely need to come back and make tome to visit Wales. Ah you can't go wrong with a good train ride - i'm a bit of a train geek myself - I grew up by the National Railway Museum in York and always going for rides on the North Yorks Train ride - which are highly worthwhile! My love would explain the huge cupboard full of model train pieces and set up we have once we have a spare room to set it all up (yes really). I too love the Michael Portillo shows, if you ever fancy a railroad read I highly recommend anything by Christain Wolmar (I think that's correct) - he has published works about everything from the history of the railways (in the UK and internationally), the London Underground through to the role of trains in the war. Excellent reads all round! Looks like you had a brilliant time and got such beautiful pictures! 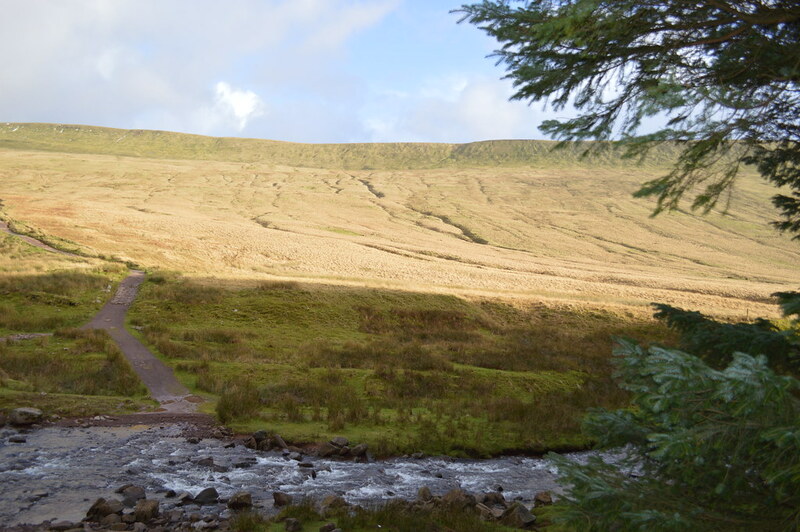 I have been to the Brecon Beacons many years ago, I climbed Pan Y Fen. It is truly beautiful! Really hoping to do that in the summer, I'm so lucky that the Beacons are only about 45 mins away from where I live. You were so lucky with the weather Gem! 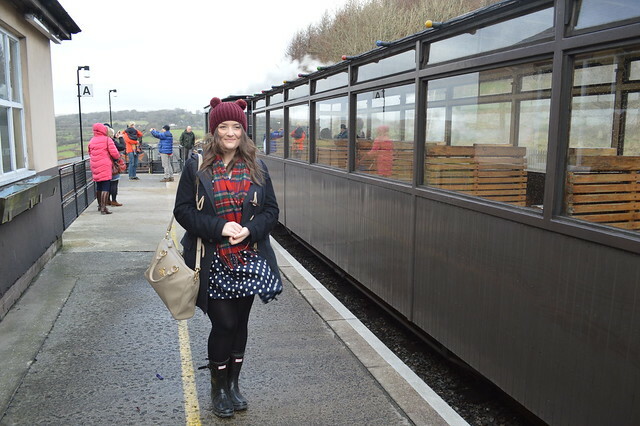 I remember trying to go on the railway once but there was fog so we didn't get to go. Beautiful location, I really must try and go another time if we can grab a sunny day. We've got no excuse now we live in the Rhondda, we're much closer to the Beacons. Love the hat, looks great on you. This looks stunning, I definitely need to visit Wales! I was up in the Brecons on Sunday but on the other side of the reservoir and saw the train chugging along with steam billowing out, it looked fantastic. I went on the railway years ago when I took a nursery class to see Father Christmas, I've been recommending it to people ever since.